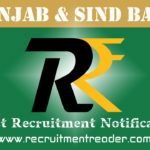 Latest SIDBI Recruitment Notification 2019 – Small Industries Development Bank of India (SIDBI) published notification for the recruitment of Branding and Communication Associate on contractual basis. Candidates who have eligibility as per SIDBI advertisement may forward their applications through proper channel in prescribed format. The application form can be downloaded from SIDBI Career (Website). The Last date to submit the application form is 27.03.2019. Before apply for the job vacancy, candidates should check the eligibility conditions given in the advertisement. Also be conscious of job profile, job requirement, job location, selection process and application process from the advertisement. Submit the application on or before the last date in order to avoid rejection of your application. Selected candidates will have contract period of three years and work location at Mumbai. Upper age limit is 30 years as on 31.03.2019. MBA (Marketing)/ Diploma or Master Degree/ Diploma in Communications. Look into SIDBI advertisement for more details of qualification and experience. Download the application format from the SIDBI website. Send the completely filled application with required documents to the address Deputy General Manager, Human Resources Vertical (HRV), Small Industries Development Bank of India, Swavalamban Bhavan, Plot No. C-11, ‘G’ Block, Bandra Kurla Complex, Bandra (East), Mumbai – 400051. Logon to SIDBI Bank website and then locate Career page. In Career, find notification for Branding & Communication Associate. 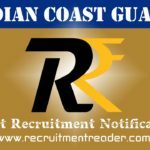 Find upcoming SIDBI Recruitment Notifications @ Recruitment Reader. For more details regarding SIDBI Recruitment Notification 2019 logon to www.sidbi.in. The information given above is based on the SIDBI official advertisement. Small Industries Development Bank of India (SIDBI) published notification for the recruitment of State Manager in Poorest States Inclusive Growth Project (PSIG), Lucknow. SIDBI invites applications for the position from Official/ Consultant to fill up the vacancy. Candidates who have eligibility as per SIDBI advertisement may forward their applications through proper channel in prescribed format. The application form can be downloaded from SIDBI Career (Website). The Last date to submit the application form is 10th day from the date of publication of this advertisement. The Advertisement is published in official website on 07.02.2019. Master Degree in relevant disciplines. Pay scale is in the range of ₹80,000/- to ₹1,00,000/- per month on CTC basis. Download the application format from the SIDBI website. Send the completely filled application with required documents to the email address st-mgr-lko@spc.co.in. In Career, find notifications for State Manager, PSIG, Lucknow. 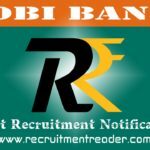 For more details regarding SIDBI Recruitment Notification 2019 logon to www.sidbi.in. The information given above is based on the SIDBI official advertisement. Small Industries Development Bank of India (SIDBI) invites applications for the position of Consultant (Venture Capital) on contractual basis. 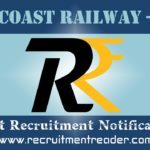 SIDBI announced 01 vacancy for the post at Mumbai in Maharashtra. Candidates who have eligibility as per SIDBI advertisement may forward their applications through proper channel in prescribed format. The application form can be downloaded from SIDBI Career (Website). The Last date to submit the application form is 13.02.2019. Upper age limit is 50 years as on 31.01.2019. Graduate in any discipline with CA/ CS/ ICWA/ MBA. Look into SIDBI advertisement for more details of qualification. Download the application format from the SIDBI website. Send the completely filled application with required documents to General Manager, Human Resources Vertical (HRV), Small Industries Development Bank of India, MSME Development Centre, Plot No. C-11, ‘G’ Block, Bandra Kurla Complex, Bandra (East), Mumbai – 400051. In Career, find notifications for Consultant (Venture Capital). Small Industries Development Bank of India (SIDBI) invites applications for the positions of Legal Advisor and Legal Associate on contractual basis. 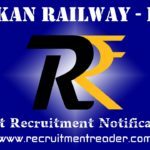 SIDBI announced 03 vacancies for these positions at Lucknow. Among 03 vacancies, 02 vacancies are announced for Legal Associate and 01 vacancy for Legal Advisor. Candidates who have eligibility as per SIDBI advertisement may forward their applications through proper channel in prescribed format. The application form can be downloaded from SIDBI Career (Website). The Last date to submit the application form is 11.01.2019. Legal Associate – Lower age limit is 25 years and upper age limit is 35 years. Degree/ PG Degree in Law from a recognized institute. In Career, find notifications for Legal Advisor and Legal Associate.